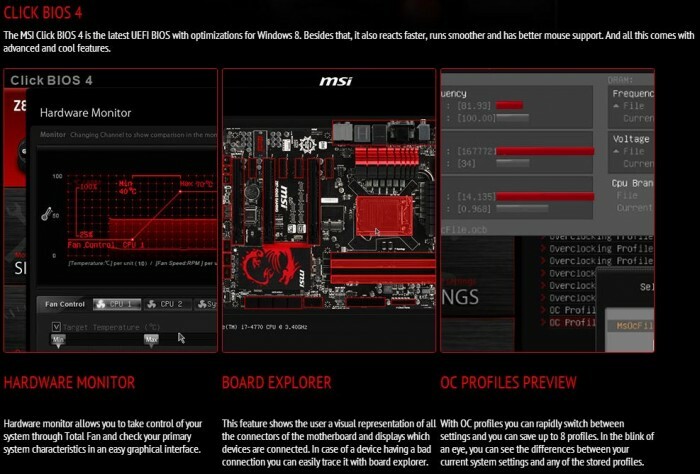 MSI stormed the market as of recent with the introduction of their gaming series and also offered a new level of segmentation to their lineup that previously simply was not there. By adding the Gaming series there now is a set boundary as to which product is targeted at which audience which is excellent to deliver a clear message to customers. So now with their standard boards being the mainstream line, then Gaming for gamer/midrange enthusiasts and Mpower/Xpower being the upper echelon of the performance segment carrying boards more targeted toward the overclocker and performance centric market. 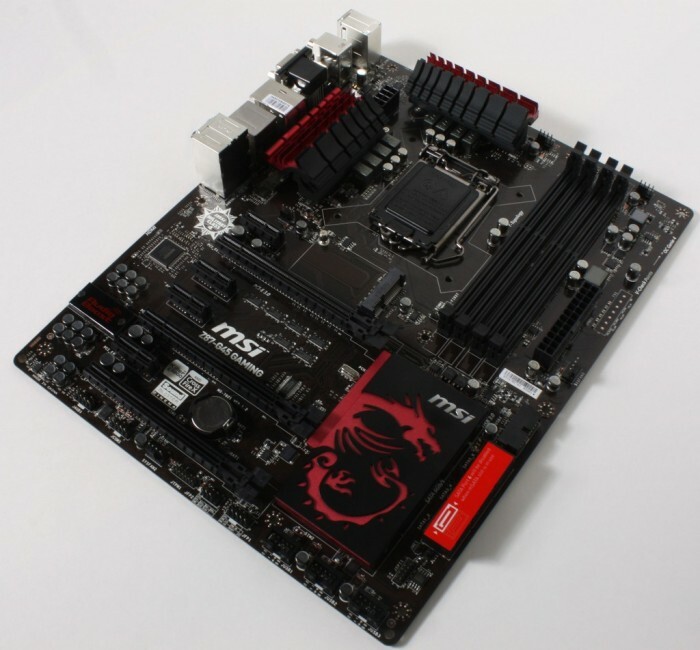 Today I am looking at the second and more value oriented of the Z87 Gaming series boards the MSI Z87 G45 Gaming, and this very much like the GD65 I had looked at recently carries many of the same design philosophies here so lets take a look a little further at what this board holds in store. 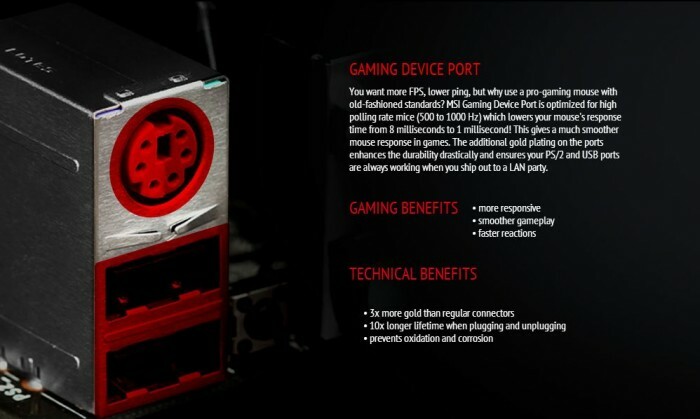 The board comes in at a price of $154.99 on Newegg, this places it in a super competitive category among some real value contenders so lets start by taking a look at what features this gaming entry offers to place it ahead of the pack. 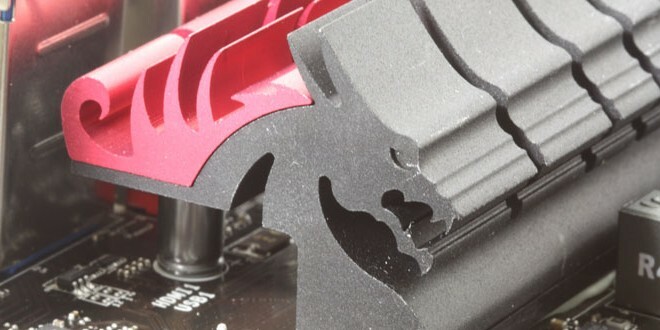 Shock Testing: This is once again more extreme as these are similar to drop or rough impact testing which wel even if the card survives we’re sure other components may not fare so well in this kind of scenario. The Gaming series of MSI boards carry specialized gaming features well one of these is the Killer Gaming grade Network controller which when utilized with the included software can help shape traffic and even allow gaming applications to get packet priority over other network traffic. 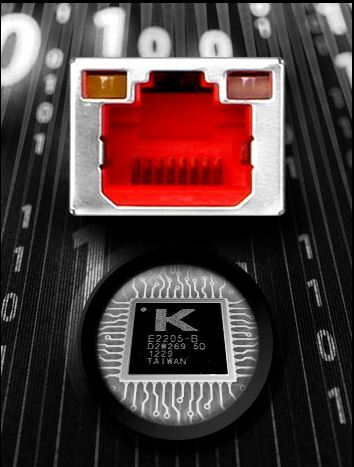 This can allow for the extra edge when milliseconds count during an online game. One of the key features for a gaming board has to be audio as it is what gives you the experience the most besides graphics. Well for this MSI put a lit cover over the audio codec which is a Realtek ALC1150 model which is a very nice quality unit and also with this package even the audio ports are gold plated to allow for maximum clean signal contact and optimum audio quality. After the codec you get a high performance amplifier which ensures a nice powerful audio signal which makes its way to the high quality audio Caps and to the terminating end on the audio panel at the rear. 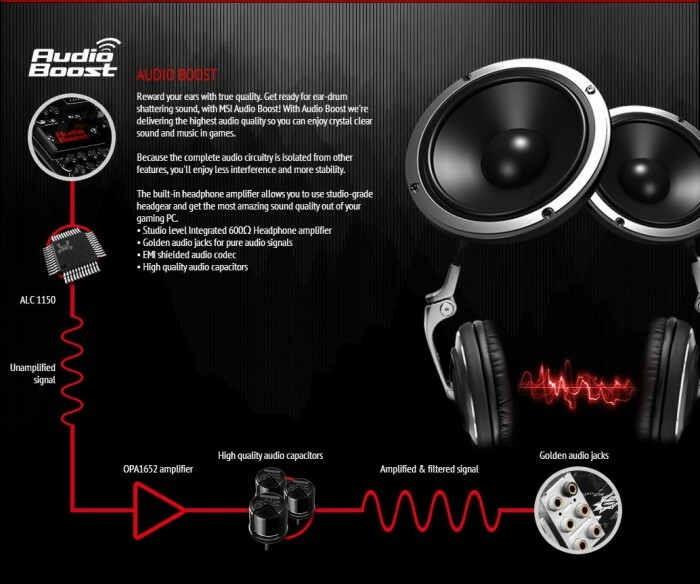 Overall this makes for a excellent audible experience especially for those with tuned gaming audio headsets since the amplifier will really make them come to life. 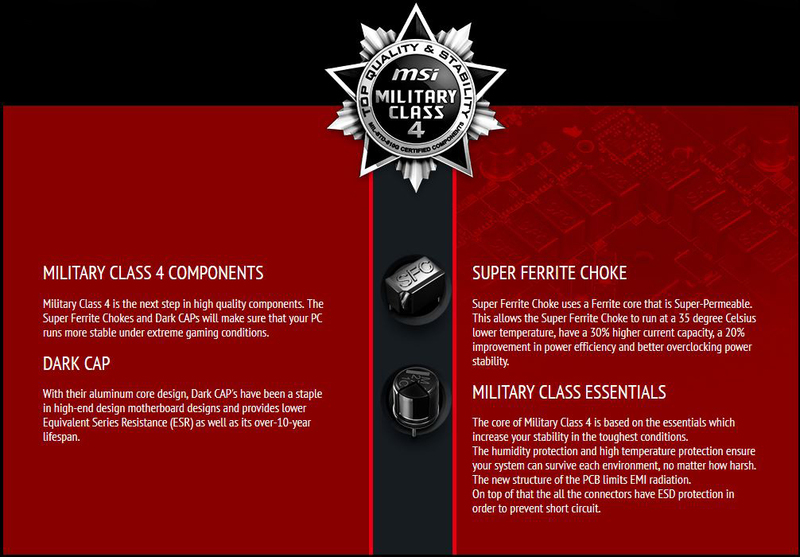 Super RAID is a software from MSI which allows you to combine drives via Intel Smart response or rapid Start or whichever technology you choose via a single button click. This allows for a huge boost to your loading speeds when pairing a HDD with a SSD for a significant read speed boost which is exactly what your game loading needs.